It takes a lot of hard work to get to this point when you are building a vineyard! Check out the photos below. 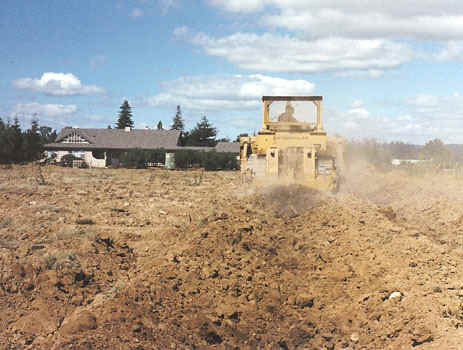 First the land needs to be cleared of trees and bushes. We moved 150 redwood trees off the property. 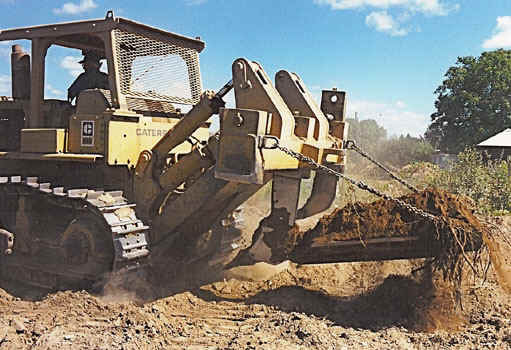 A special machine was brought in that dug up the trees. 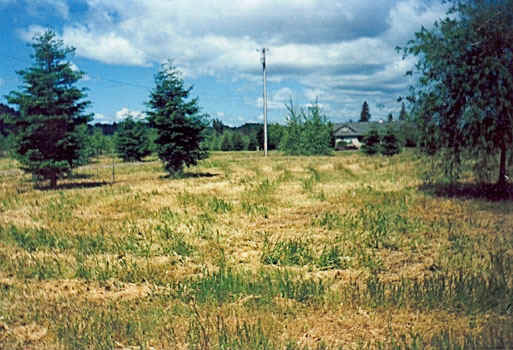 The trees were then resold to individuals who wanted to replant fully grown trees onto their property. We gave new homes to the trees and customers covered the cost of removal of the trees. It was a win win situation for everybody! 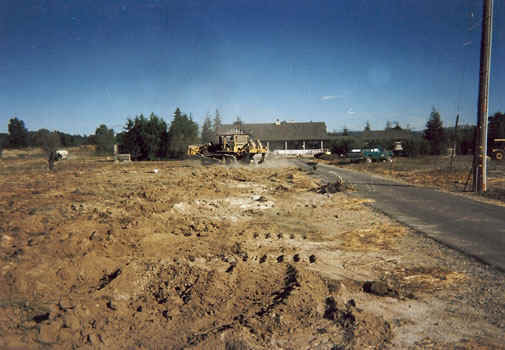 Prior to ripping, soil test holes were dug and samples sent to the soil lab to determine soil profile and recommended "soil amendments. Soil amendments were placed on top of the soil before ripping. 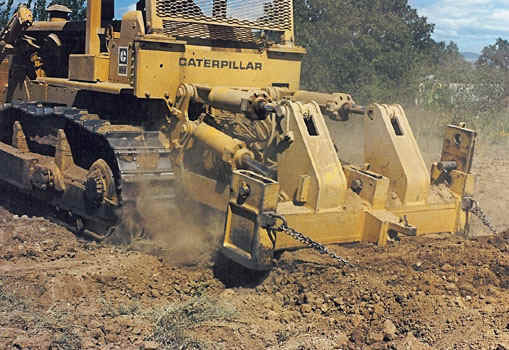 A slip plow sinks deep into the soil scooping up all types of roots and other debris which makes its way to the surface. Following behind the tractor, workers would collect rocks, old roots, etc and remove them. 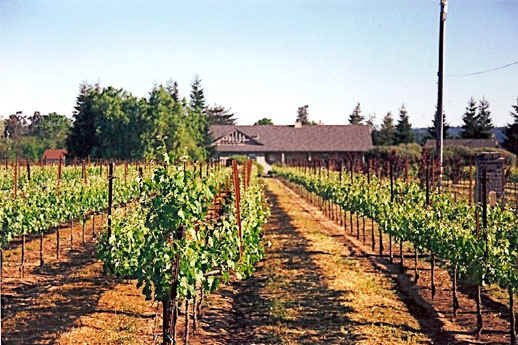 This process minimizes potential disease concerns, such as root rot in the new vineyard. This picture shows the ripper on the back of the tractor. The three ripping tongs sink 4 feet into the soil! 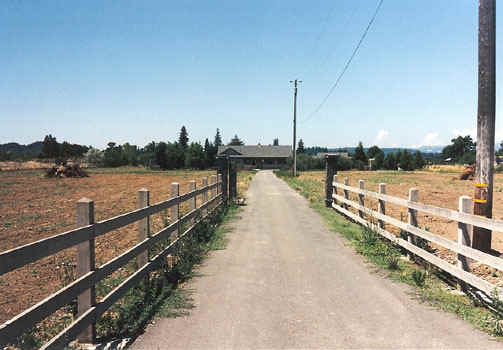 When the tractor was close to the house, people in the house could feel the house tremble as the tractor went by. This is the tractor seeding the new vineyard between the rows. 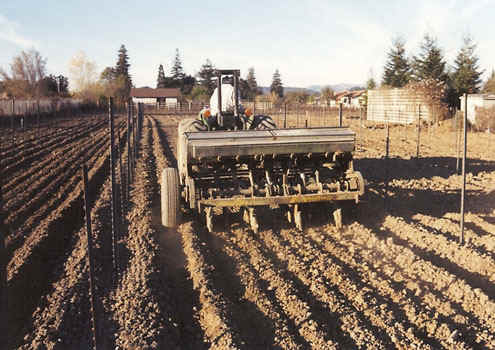 A combination of nitrogen enhancing plants and drought resistant grasses were planted to minimize noxious weeds, as well as, making it easy to mow the lawn. By maintaining a cover crop, it eliminated soil erosion, the need for spraying for noxious weeds, and gave a more manicured appearance to the vineyard. 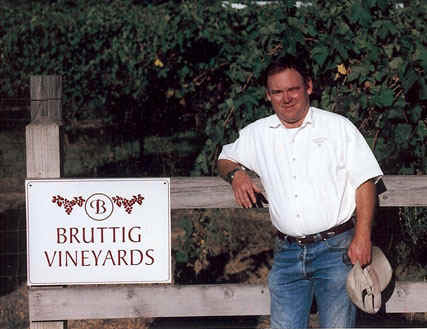 This picture was taken the year after the vineyard was planted. Top soil in this vineyard went down 36 feet of Yolo Loam Soil. Yolo Loam is one of the most fertile soil profiles in the world! Attention to detail in year two paid off! All our effort was concentrated on training the children during the first two growing seasons. 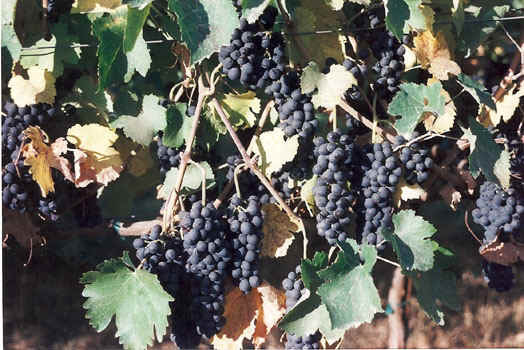 Any fruit that the vines tried to produce was removed, so that the vines could concentrate on healthy growth. Approximately 1 ton per acre. 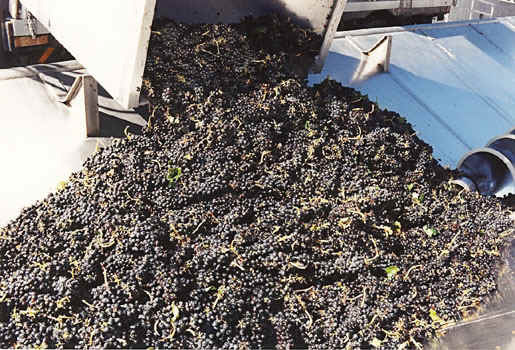 After year five, the vineyard was producing 5 to 7 tons of quality fruit per acre. Attention to detail paid off. 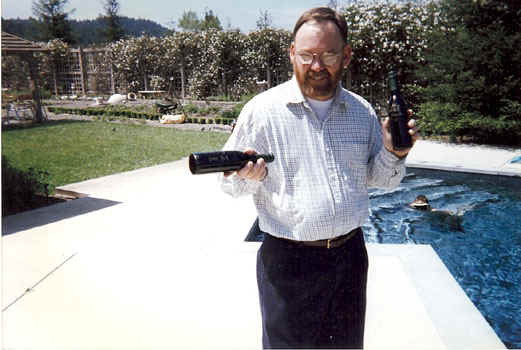 The wine made from this vineyard is still going strong after more than 8 years in the bottle!